For reliable and secure protection customers across Pakistan rely on our durable and long-lasting CC roofing systems. Our 50 years of expertise helps us understand and respond to domestic and industrial roofing needs simultaneously. 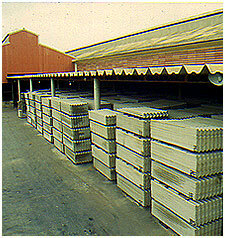 We currently manufacture Corrugated Sheets and Nalidar Beams.